There are currently 115,136 users on this website. I had this penny for quite some time, just didn't have time to post it on a forum that would give me what direction should u proceed with it. 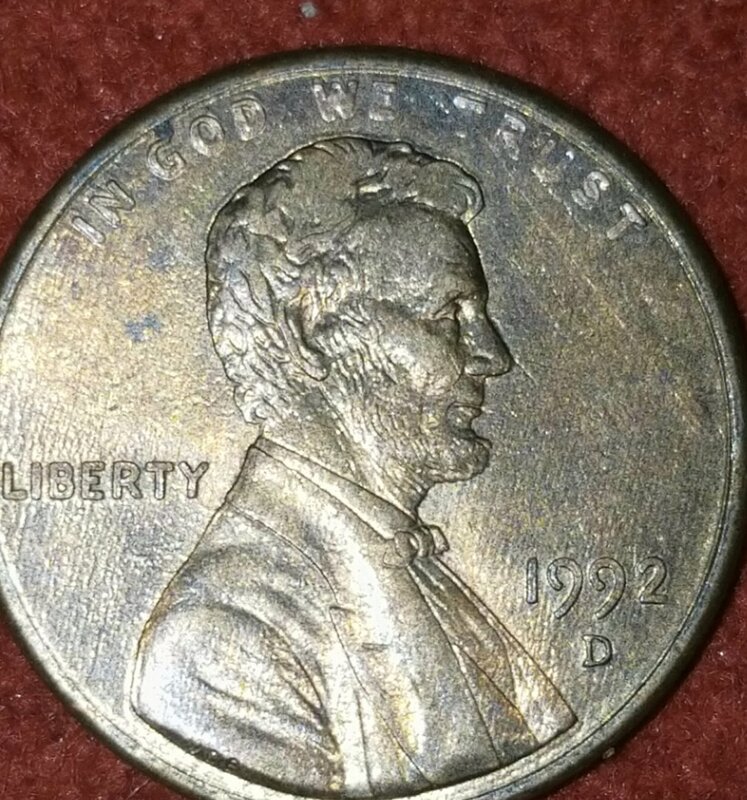 You can clearly see the doubling on the motto, date, and on the lettering on ONE CENT. Let me know what you guys have seen anything similar? To CCF! Not even a Doubled Die. That's just coin contact marks on the motto from damage. It's Post Strike Damage ( PSD), and it's only worth face value. Die deterioration above the motto devices. Not a doubled die as already mentioned.